An outstanding pair of hiking shoes. 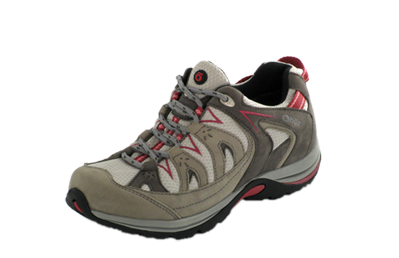 Oboz Footwear’s Mystic Low is an incredibly comfortable, good-looking shoe to hike up the mountain or walk around town. Some of the great features on this shoe are the BFit Deluxe Insoles which fit our feet perfectly cushioning them on a long hike, the BDry membrane that somehow kept water out but allowed our sweaty feet to breathe and stay dry, and a high traction outsole so we didn’t slip on the rocks or uneven trails. TrailblazerGirl’s new favorite hiking shoe!